Boston Handmade: It's Here! ArtBeat 2014! ArtBeat is a two day arts festival in Davis Square, Somerville, presented by the Somerville Arts Council. It's always on the third weekend in July, which this year falls on the 18th and 19th (that's today and tomorrow!). There is so much going on that it's you'll be amazed! From music, dance, and food to craft vendors, mural-making, theater and kid's activities, there's something for the whole family. The theme of this year's ArtBeat is HATCH! For a full line up of what's happening and where, visit the Somerville Arts Council Website. At Boston Handmade, we're really excited about the craft vendors section - three of us will be participating! It's my first year as a vendor and I just love Davis - I used to live just one T stop away - and it will be great to be showing my work at ArtBeat. Dana Garczewski of The Patterned Peacock will be selling her bright and colorful paper goods and limited edition prints at ArtBeat. 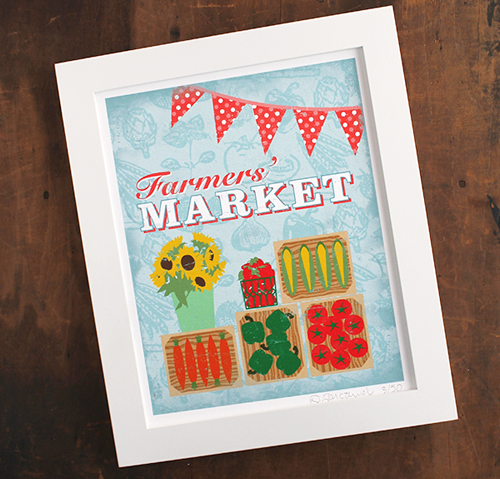 I just love this Farmers' Market print, which was recently featured in American Baby Magazine! Liz Stewart of Lush Beads creates beaded jewelry and her new line, Lush Beads Industrial, includes pieces made using new and repurposed hardware in unexpected ways. This is Liz's first year at ArtBeat! Visit her at booth #113. Loomination (that's me!) 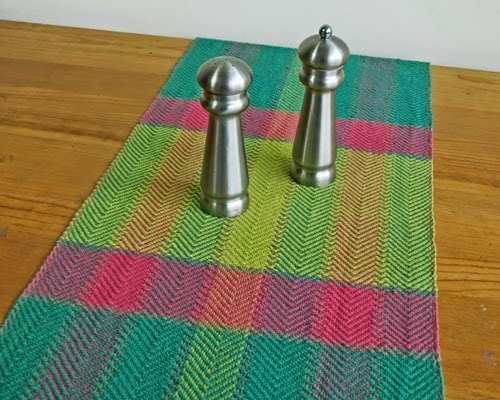 designs and creates handwoven wearables and home goods using bright colors and traditional patterns. This is also my first year at ArtBeat! She will be at booth #42. Want to meet a baby alligator? Visit new Boston Handmade Member Melissa Glick at the Artisan's Asylum Information Table - they might just have one! Artisan's Asylum is a non-profit maker space in Somerville that offers classes, studio space, and access to professional manufacturing equipment. We hope to see you at ArtBeat!